Perkin began experimenting with coal tar products including aniline. He treated aniline with potash and created a dirty, slimy black substance. Perkin’s first reaction was to throw away the substance, as this was not the quinine he was attempting to produce. But, instead he decided to examine the product more closely. With this closer examination, Perkin was able to obtain the first synthetic dye known as aniline blue or Mauveine. 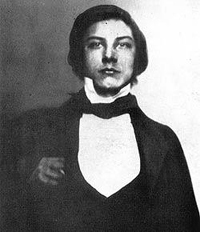 Perkin was enthusiastic about his new discovery and enlisted the help of his friend Arthur Church and his brother to continue further experiments and trials. Because this was not the project Perkin was supposed to be working on, the experiments were done in secret. At the young age of 18, in August of 1857, Perkin applied for a patent. Then despite the well intention warnings of Hoffman, Perkin left the academy and began a venture to manufacture and sell his new dye. With the financial support of his father, Perkin opened his factory outside of London. Perkin had exceptional skills in both chemistry and marketing, thus he was able to both perfect his dye and create a demand for the new product. 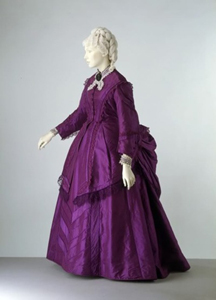 The demand was increased when Queen Victoria of England and Empress Eugénie, wife of Napoleon III, of France, began wearing a similar purple color. The hooped–skirt that was made from a large amount of fabric had also become popular thus the cheaper synthetic dye was preferred for these garments. The accidental discovery of Mauveine combined with the skills and actions of Perkin, made him a financial and commercial success. ← Invention Geek – When Did Li Tian Die?